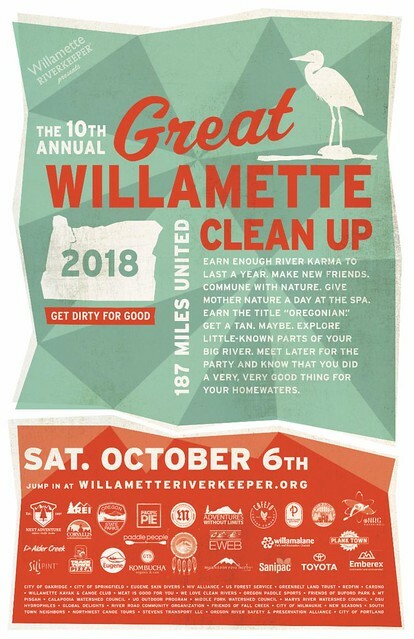 The Great Willamette Clean Up is a river-wide, community day of action. 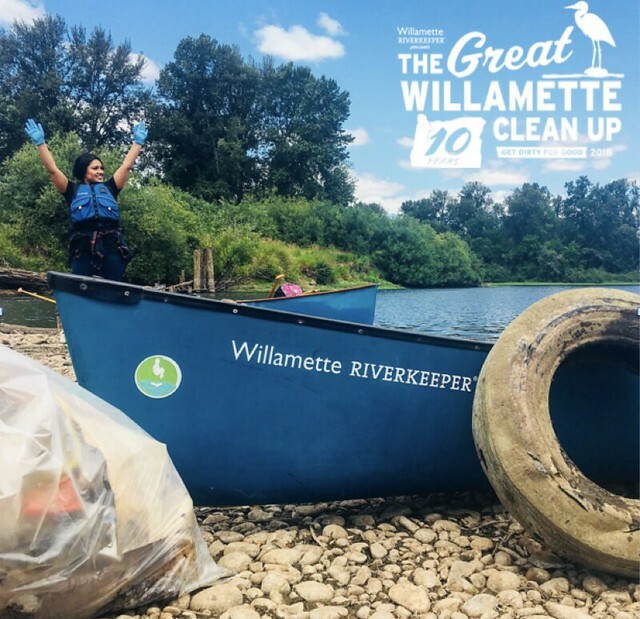 Volunteers participate by canoe, kayak, SUP board, raft, motor boat, drift boat, bike, and foot to free our river of trash and debris while improving habitat and community spirit along the way. Cleanup sites are posted throughout the basin, and are searchable via on-line registration. Several regions host post-cleanup celebrations that include lunch, local frothy beverages, raffles, gifts and “trash-talk.” You won’t want to miss this! Click HERE to register. This entry was posted in Lower Willamette, Middle Fork Willamette River fishing, Oregon Conservation News. Bookmark the permalink.